Beaufort is a community that is obsessed with life on the water, so it should come as no surprise that fishing of all varieties is celebrated in this coastal town that’s found at the intersections of marshy creeks, major rivers, and miles-wide sounds. From casting a fishing line off a local dock in the downtown area, to signing up for a fishing adventure that will take anglers well offshore, the sheer diversity of fishing opportunities - (and great tasting catches) - are what keep anglers coming back year after year for more. Before an angler can cast a line, they’ll generally need to acquire an NC Coastal Recreational Fishing License (or CRFL) first. This saltwater fishing license is required for all anglers over the age of 16 who want to fish in the sound or neighboring salty creeks, along the beaches, or in any body of water that is designated as coastal or joint waters of the state of NC. The CRFL often is not required for anglers booking a fishing charter trip, as the captain’s commercial license encompasses everyone on board. Obtaining a saltwater fishing license is a nicely easy and inexpensive affair. The rate for a 10-day license, (which should cover a vacation’s worth of fishing), is $5 for North Carolina residents, and $15 for out of state visitors, while an annual license for multiple trips is $15 for NC residents and $30 for out-of-state visitors. Lifetime licenses are also available at a nominal cost to avoid the mild hassle of an annual renewal. To pick up a license, visitors can stop at virtually any bait and tackle store in Beaufort, Morehead City, and throughout the Crystal Coast. In addition, anglers can acquire a license online before their vacation begins by going to the North Carolina Division of Marine Fisheries website at http://portal.ncdenr.org/web/mf/recreational-fishing-licenses-and-permits. If you’re not sure if the body of water you’re targeting technically qualifies as saltwater, go ahead and grab a license regardless. You may want to explore other areas, and while the fine for fishing without a license isn’t that steep, (and is roughly $35), with court costs and extra fees it can propel to nearly $200 or even more, if other violations are noted. Anglers will quickly discover that Beaufort and the surrounding area is packed with secretive fishing holes, inshore and beachside piers, and a wealth of other destinations where dropping a line is a breeze. While the type of fish that an angler can land varies depending on the season as well as the destination, a sample of frequent catches close to shore includes red drum, puppy drum and black drum, sheapshead, flounder, bluefish, sea mullet, puffer fish, speckled trout, gray trout, Spanish mackerel, king mackerel, croakers, and even cobia. Not sure where to head first? Then check out these popular destinations where locals and visitors-in-the-know frequent for exceptional and / or uncrowded fishing conditions. 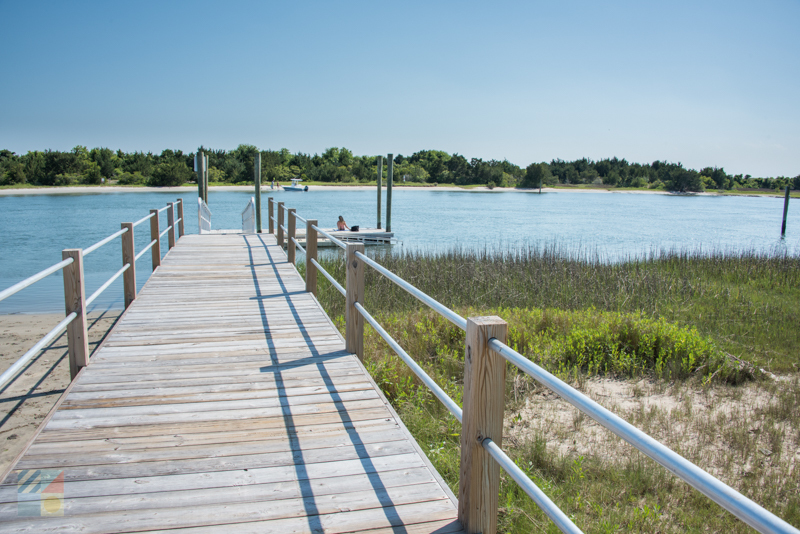 The Newport River Pier, which is located on Highway 70 and which straddles the borders of Beaufort and Morehead City, is located on the edge of Radio Island and provides exceptional fishing in the heart of the river. The pier extends 575’ ft. into the water, and there’s ample parking and restrooms at the site, although visitors should note that the pier can get crowded in the warm weather months, and especially on the weekends. 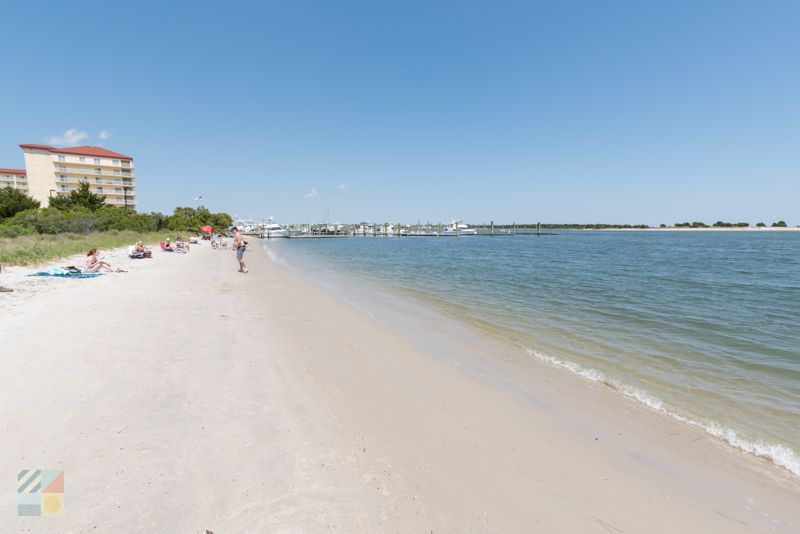 Radio Island Beach Access, which is found just off of Highway 70 on the aptly named Radio Island Road, is a small beach close to the Old Towne Yacht Club that has a generally uncrowded stretch of shoreline, (expect on the weekends), as well as ample parking and on-site restrooms. 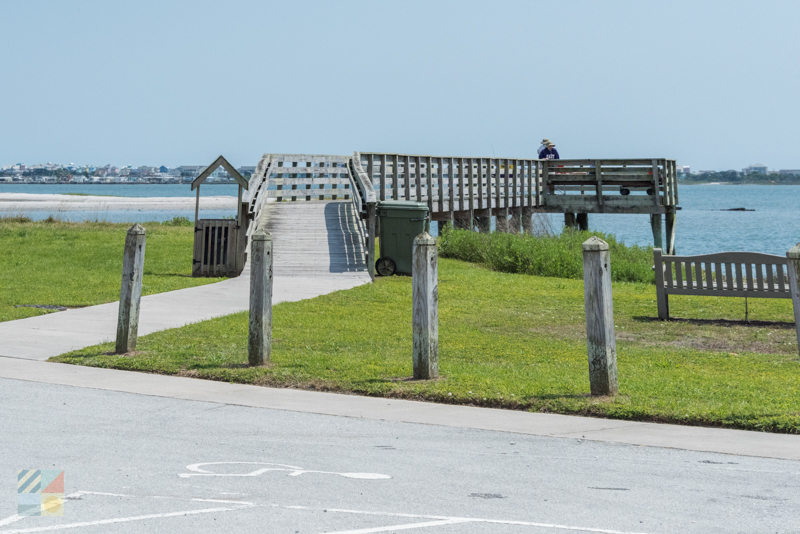 The Fort Macon State Park is one of the closest - and best – local beaches for Beaufort visitors who want to go surf fishing. Located on the eastern border of Atlantic Beach, this historic site and state park has several miles of coastline that borders the Beaufort Inlet. Though it’s hopping in the summer months with vacationers of all varieties, fall, winter and spring visitors will find elbow room to cast a line. This small parcel of land on the western edge of Broad Street in the downtown area is a fine destination for kayaking anglers or anyone who just wants to drop a line without straying too far from the heart of town. The site features a small deck with a railing, as well as well as a floating dock that’s available for vessels 14’ ft. or less. Visitors should note, however, that there is no parking or restrooms at the site. 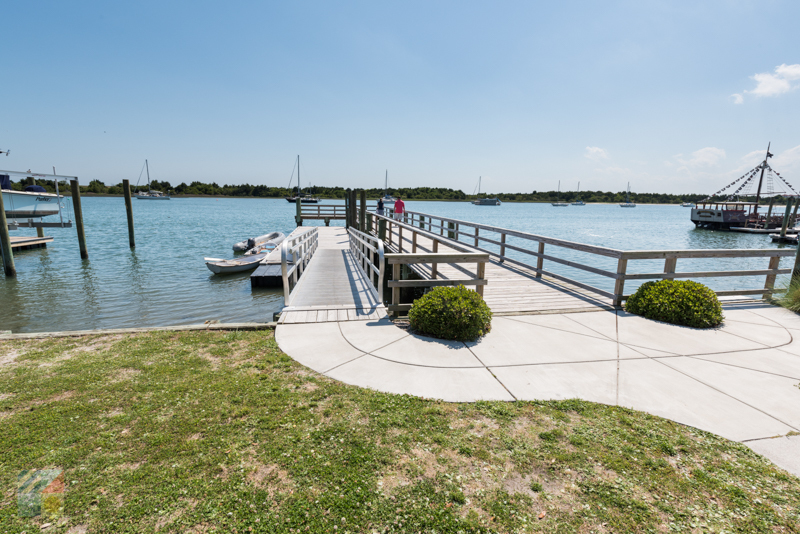 Topsail Marine Park is located along Taylor’s Creek in the heart of Downtown Beaufort, and is sandwiched in between two popular businesses. The small site features benches, a water fountain, a bike rack, and a modest sized floating dock that can accommodate anglers as well as small boats. Street-side parking is available nearby. This small park that’s found along Front Street at the end of Pollock Street borders Taylor’s Creek, and features a bulk headed waterfront border, a floating dingy dock, and a shaded gazebo. It’s a popular site for fishing in Taylor’s Creek, as well as to launch on a fishing adventure, and the site features a walk-in boat launching region as well as parking along Front Street. As the name would suggest, Fishermen’s Park is a fine destination for all varieties of anglers, thanks to a dock on Taylor’s Creek, a storage rack that can hold up to 20 small vessels, a boat launching site, and a small sandy beach. The site is located on Front Street near the end of Gordon Street, and features a picnic table as well as ample street side parking. 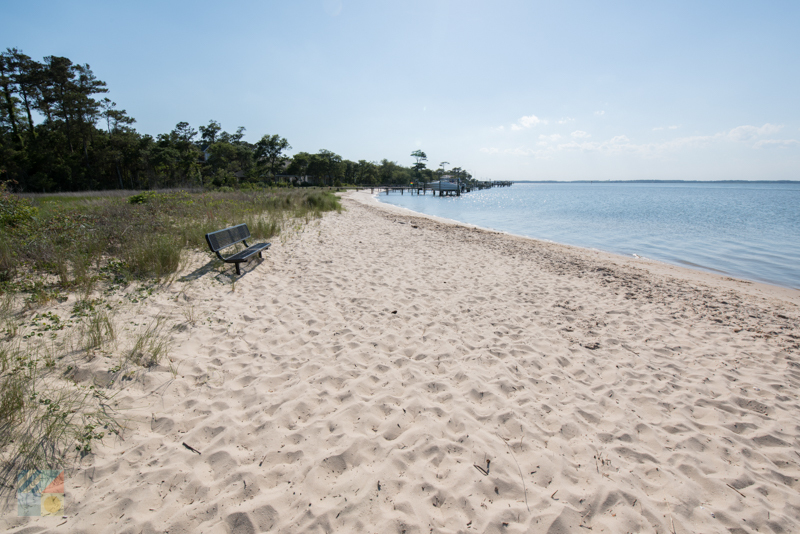 Located on Harkers Island Road on the edge of the bridge across the North River, this small sandy beach is a popular destination for anglers and kayakers alike, and features ample room to wade out and cast a line. A small island in the middle of the bridge serves as a secondary destination for fishermen, and also features a small pier that jets out into the water. 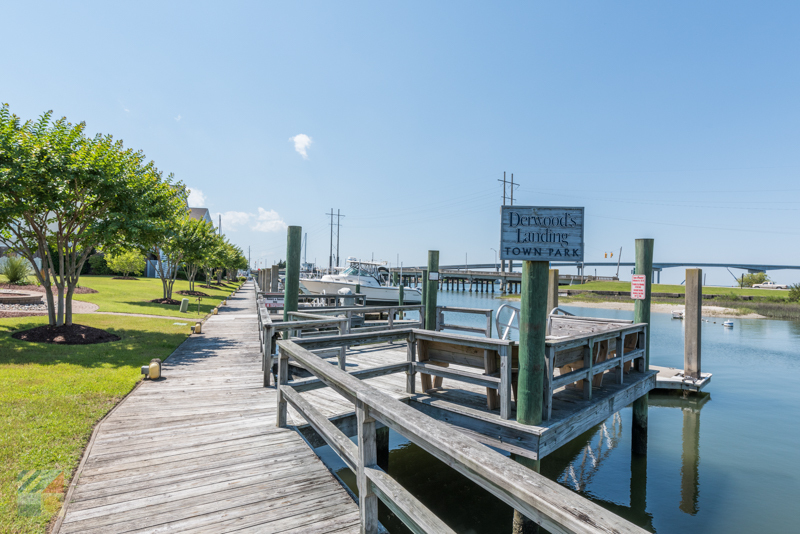 This small site that’s on the edge of the Morehead City downtown area overlooks the Harbor Channel as well as the Bogue Sound, and features fishing ramps for anglers as well as a public pier that jets out into the water. Ample parking is found at the site, as is a variety of nearby shops and amenities for anglers. The site is located at 1001 Shepard Street. 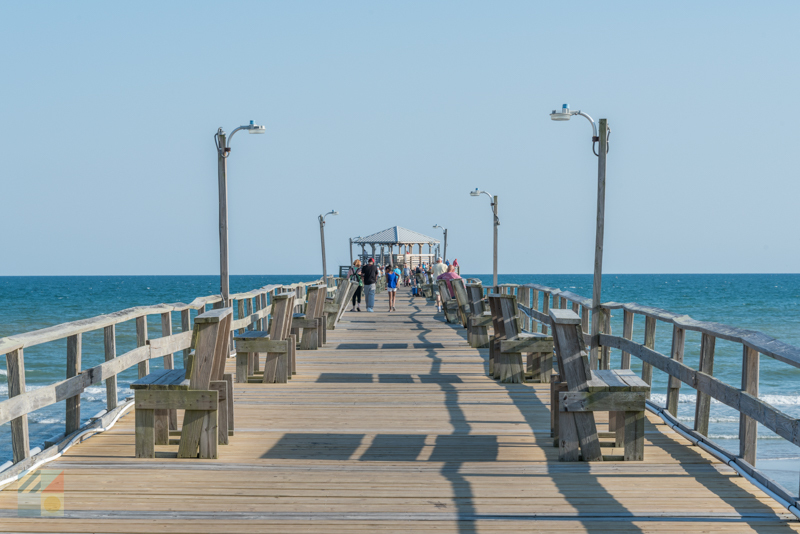 The Oceanana Pier is found in the town of Atlantic Beach, (roughly 15-20 minutes away from Beaufort), and is a popular fishing pier that extends 1,000 ft. into the ocean. The pier also features an on-site restaurant for breakfast, lunch, and dinner, as well as tackle shop and adjacent beach. The waterfront Front Street in the central downtown area has dozens of local vessels and businesses that call the adjacent docks home, and many of these companies and services focus on inshore or soundside fishing. Targeting a wide range of waters found throughout Beaufort and the surrounding Crystal Coast area, a sound or inshore fishing trip is an ideal way for new anglers to get their lines wet while scoring some exceptional game catches. The variety of species that can be caught in inshore, nearshore or close to sound waters can vary by the season, but generally includes a nice array of popular Mid-Atlantic varieties. Spring and fall anglers will want to target the seasonal big drum runs as well as puppy drum and black drum, and can also hunt for Spanish mackerel, king mackerel, flounder, sheapshead, spot, croaker, gray trout, and speckled trout. Summer visitors will have an equally diverse range of species, including bluefish, sea mullet, close-to-shore amberjack, Spanish mackerel, pompano, and even cobia. As for where to go, inshore or nearshore charter vessels generally head to the ocean waters that are 8-10 miles offshore or less, sticking relatively close to the shoreline. Other inshore or sound-based trips may make treks to the Beaufort Inlet, the Bogue Sound, the Core Sound, the Newport River, or the North River in search of good game. A number of vessels also offer crabbing or clamming trips which usually take place in the barely inshore marshes where the sound is shallow and the bottom is sandy. These trips are excellent adventures for families and kids who want to try fishing, but who also want to get out and explore. Roughly a dozen different fishing charter businesses are concentrated in the heart of Downtown Beaufort, and more are found along the waterfront docks of Morehead City as well as Harkers Island and waterfront areas along the soundside of Atlantic Beach. 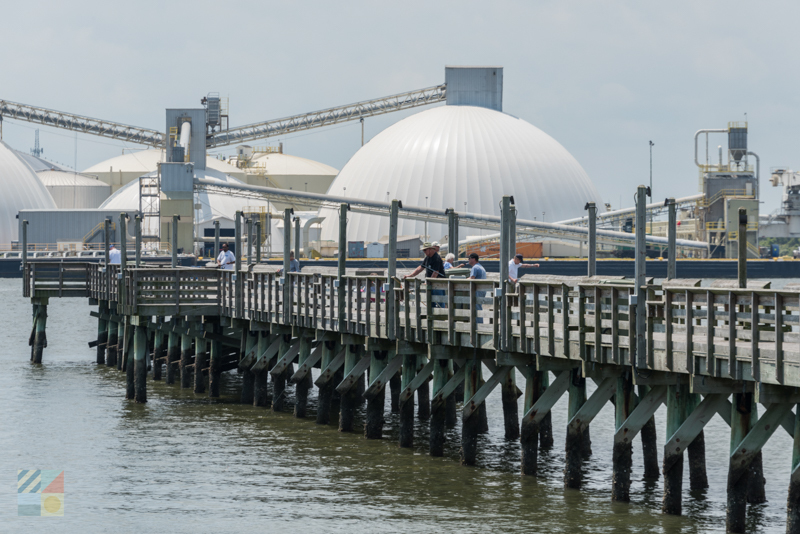 To see what options are available, visitors can search online, or do a little scouting while they are in Beaufort by walking along the docks. As a general rule of thumb, inshore / nearshore and sound fishing trips are less expensive than offshore fishing trips, simply because there is less gas and crew members involved. They can last for a half day, full day, or even just a couple hours, and are a great way to explore the fishing scene a little more in-depth. Offshore fishing entails travelling roughly 15-20 miles offshore to target the big trophy species that frequent the Gulf Stream – the warm water trans-Atlantic current that hugs the coastline and which attracts a huge variety of big catches. 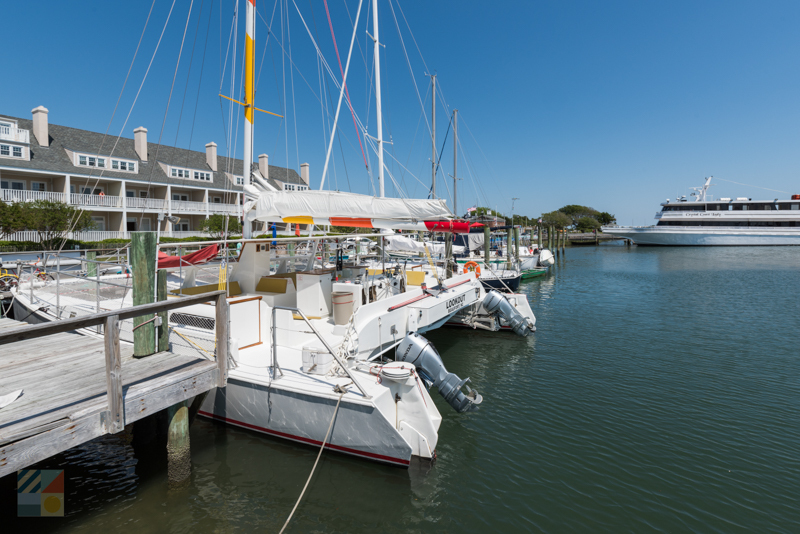 A number of offshore fishing businesses and vessels call Beaufort home and are stationed along the Front Street Docks, while still more can be found in the neighboring communities of Morehead City, Atlantic Beach, and even Harkers Island. On an offshore fishing adventure, small parties of anglers (typically 6 per vessel) are transported out to the Gulf Stream via a 1-2 hour ride, where a full or ¾ day of fishing will ensue. Types of fish that can be caught on an offshore fishing trip include trophy fish, like white marlin, blue marlin, and sailfish, as well as big game fish, including dolphin (or Mahi Mahi), wahoo, amberjack, yellowfin tuna, blackfin tuna, albacore, and red snapper. What an angler can expect to catch all depends on the season, but the summer months and fall months are often the best times to target a variety of both game and trophy or sport species. Rates for charter fishing vessels can vary, but the cost per person is generally in the $250-$350 range or so, depending on the type of trip. Charter boats will also help transport and clean the fish for the anglers, and can even package the resulting catches so fishermen can take them home, freeze them, and enjoy their catches in the days and weeks to come. Offshore charter trips can fill up quickly when the fishing is hot, so groups of anglers (5 or more) will want to make reservations as far in advance as possible. Single anglers or groups of 2 fishermen may be able to secure a last-minute “make-up charter” and catch a ride on a fishing charter boat that is not completely full. Anglers who want to go out in the open water but who want to spend a modest amount of vacation funds to do so can scratch a fishing itch by reserving a spot on a local Beaufort headboat, like the Crystal Coast Lady. A headboat provides a several-hour or half-day fishing trip that’s onboard a large vessel with room to accommodate multiple passengers, and therefore, provides fishing trips at a drastically reduced cost per person. Headboats target the calmer inland and nearshore waters, and anglers can expect to reel in a nice range of catches including trout, flounder, spot, black sea bass, croaker, sharks, amberjacks, Spanish mackerel and more. Unlike traditional inshore or offshore fishing trips, however, anglers may have to bring along their own rods, reels, and bait, depending on the business as well as the type of fishing trip. With a cost that can range from roughly $35-$50 per person, a headboat fishing trip is a great way to check out the fishing scene off the Beaufort waterfront on a budget. 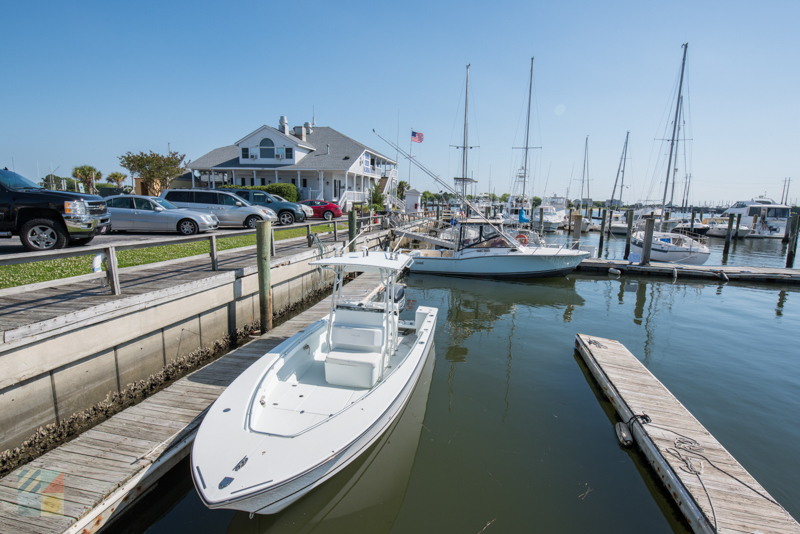 Beaufort is a Mecca for competitive fishermen, thanks to a roster of area fishing tournaments, and a cool environment that’s flooded with coastal restaurants and pubs, marine supply stores and shops, and waterfront accommodations. The Big Rock Blue Marlin Tournament is an annual tournament that has been going strong for roughly 60 years, and which attracts anglers from all over the East Coast for its heated competition, and mainly, its huge six-figure potential payoff. (Previous years’ purses have broken records with roughly $2,000.000 in total funds.) Held during early June, the tournament targets blue marlins, white marlins, and sailfish, and attracts several hundred fishing vessels every year. The end result is a festive and almost party-style atmosphere where everyone celebrates a solid week of fishing, and the town of Beaufort is always hopping. Summertime visitors can head to the beach to participate in an array of fishing tournaments that are held along the sand, or from the Crystal Coast’s two island piers: the Oceanana Pier in Atlantic Beach, and the Bogue Inlet Pier in the town of Emerald Isle. Popular fishing tournaments include king fishing specific contests, like the Cape Open King Mackerel Tournament and the RSWSC King Mackerel Tournament, as well as family-friendly tournaments like the Youth Fishing Derby and the BlueWater Fishing Tournament. Visitors who are interested in beachside fishing tournaments can contact the local piers, as well as the local bait and tackle shops, for dates and registration info. 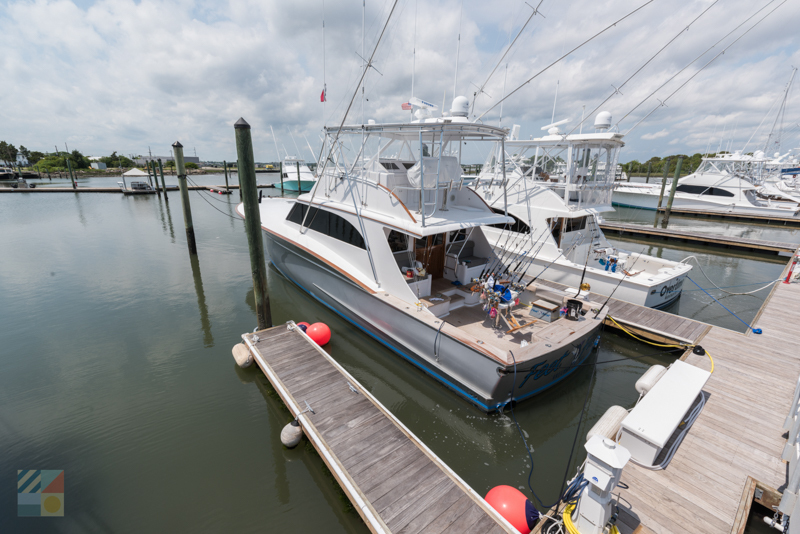 There are also a couple Beaufort-specific tournaments that are held in the heart of town, such as the Barta Boys and Girls Club Billfish Tournament at the Beaufort Town Docks, which is part of the Governor’s Cup Billfish Series and which is held in mid-July. Check out local Beaufort visitors’ centers and tackle stores for more info on possible fishing tournaments or derbies that are happening along Front Street. Fall is a great time to go fishing. Not only does this season boast the biggest variety of catches, but the town is less crowded, the weather is crisp and comfortable, and local accommodations may be less expensive than their peak summer rates. For a great vacation that revolves around fishing and is budget-friendly, fall is the time to go. Want to explore more fishing grounds? Head north. 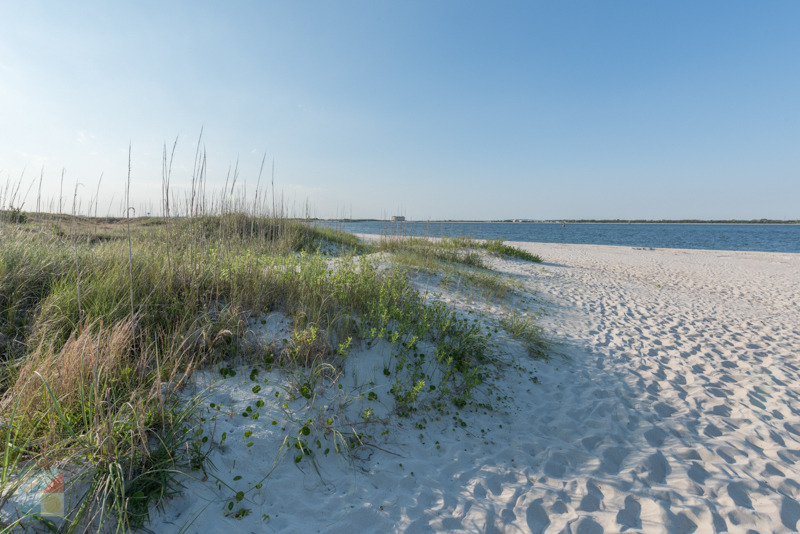 The Cedar Island Wildlife Refuge has several small beaches, fishing docks, and boat ramps which are generally found close to the terminuses of the bridges that are dotted along NC Highway 12. Best of all, because this area is relatively isolated, anglers will have little competition. Want to discover some of the best surf fishing conditions on the Crystal Coast? Head to Cape Lookout. The outlying barrier islands of the Cape Lookout National Seashore, (like the Shackleford Banks), are just a 20-45 minute ferry or water taxi ride away, and anglers will be rewarded with plenty of elbow room, and the best surf fishing in the Southern Outer Banks. Want to save money on bait? Then catch your own. “Sand fleas” or “sand diggers” are excellent surf fishing bait that can be obtained by digging into the soft sand close to the ocean wash in the summer months. Anglers can also head to the soundside or local salty canals to toss a cast net, (especially in the evenings), to scoop up small baiting mullets and / or minnows. Didn’t fare to well on your fishing trip? The Crystal Coast region has a number of local fish stores that sell fresh catches daily – either whole or already cleaned. Check out downtown Morehead City and / or the fish shops that are found next to the Atlantic Beach Causeway to load up on fresh seafood despite striking out on the fishing front. Beaufort is a dream destination for anglers. With miles of water to go around, a wide range of boat launches and docks to cast a line, and an atmosphere that takes pride in its historic fishing village roots, a trip to Beaufort is a vacation that anglers of all varieties – as well as the non-fishermen in the group – will completely adore.